This story's by my boy -- I thought you might enjoy it. There once was a weasel. He was hungry, and decided to look out of his safe hole in search of food. When he popped his head out, he heard two reverberating booms. And then, he knew no more. The professor replied, "I don't have any time to explain it at my office, but if you come over to my house on Saturday and help me with my weekend project, I'll be glad to explain it to you." They both went out back to the pool, and the professor handed the student a bucket. Demonstrating with his own bucket, the professor said, "First, go over to the deep end, and fill your bucket with as much water as you can." The student did as he was instructed. The professor then continued, "Follow me over to the shallow end, and then dump all the water from your bucket into it." The student was naturally confused, but did as he was told. The professor then explained they were going to do this many more times, and began walking back to the deep end of the pool. The confused student asked, "Excuse me, but why are we doing this?" The student didn't think the economics professor was serious, but figured that he would find out the real story soon enough. However, after the 6th trip between the shallow end and the deep end, the student became worried that his economics professor had gone mad. "Congratulations. You now understand the stimulus bill." My Note: This analogy demonstrates futility, but in my opinion doesn't go far enough to explain the stimulus package. The water in the pool has to come from somewhere: it is depleting the reservoir that is necessary for indoor plumbing: the drinking water, the showers, washing the clothing, whatever. The area will become a desert while that pool fills with water. This stimulus package is taking money from our grandchildren that THEY will have to repay. I'm sorry; I am not an economist, but I know enough not to run my own household the way the stimilus bill seems to be doing, which is to borrow more money than you can ever dream of making. In one stroke of the pen, the national debt has been tripled. Where is the stimulus in this? Let's assume you've finished your manuscript, and you are going to try for a literary agent (or editor). What do you need to do? Again, I'm just giving a quick overview of information that is widely available -- you'll need to do more research beyond this blog to actually produce an exceptional submission effort. I like to think of the submission process as a two-pronged approach: you need to figure out WHAT you are going to prepare, and WHO you are going to give it to. Today, let's start on WHAT you are going to prepare. Writers often spend months or even years writing a novel, and next to no time preparing materials to find a home for it. This is a big mistake -- a poorly compiled presentation will doom your manuscript to failure, even if you've written the next Gone with the Wind. Take some time to craft an exceptional submission package. Before you start preparing your submission package, you need to sit back, take a deep breath, and figure out what you already have. I am going to assume for this blog entry that you've whupped your manuscript into the best shape it can be. This means that you didn't just type *The End* last week -- you've taken some time to edit, cut, reshape, and clarify your prose. This step is critical!!! Now, for preparing to send it out. First question: what genre is your manuscript? Some genres are romance, adventure, mystery, suspense, and so forth. Some more questions: what are similar works to what you've done? What are some unusual characteristics of your story? For example, Lever's genre is SF/adventure. A similar series is Randy Ingermanson's City of God series: Transgression, Premonition, and Retribution. Lever has time travel and a Messianic theme (since it explores the first century roots of Christianity and Jesus' life from a Jewish perspective). How long is your manuscript? Is this length appropriate for your genre? Many publishers especially of romances give strict word limits, and all genres have *typical* word ranges. For example, YA and romance novels might be about 50,000 words, other genres might be longer. A manuscript over 100,000 words can be a serious strike against you no matter what the genre; try to pare it down to about 80,000 - 90,000 words if you can. For example, Lever is about 92,000 words (rounded to the nearest thousand). There is a free e-book entitled How to Write a Great Query Letter, available HERE. This book is by Noah Lukeman, a stellar literary agent and author of The First Five Pages, The Plot Thickens, and A Dash of Style, and is well worth studying. Noah Lukeman has another free e-book at the same link HERE entitled How to Land a Literary Agent. This one is also excellent. Author Kaye Dacus gives some pointers for how to develop a one-sheet HERE. She also has two examples of one-sheets HERE. This information is widely available, so I'm only going to give a quick overview. *Traditional Publishing* is what most people think of when they buy a book -- these are the companies such as Harper Collins, Thomas Nelson, or Random House. Entering these gates as a newbie writer is NOT an easy task. If I had to give one word that describes the process, I'd say *Glacial* because this takes months of waiting, high hopes, and dashed expectations. The two most common ways to make contact with a publishing house are either through an editor at the house, or a literary agent. Normally the writer sends a query letter and/or a submission package to said editor or agent. These can be sent cold, or after an invitation, say at a writers conference. Most writers try for an agent first. The writer may need to make a list of 30 or more possible agents to send information to before he is able to find representation, and many writers *never* do. Once an agreement is reached, the literary agent uses his knowledge of different editors, houses, and *the biz* to shop the writer's manuscript around, hoping to get an editor to say yes. Once the editor says yes, the manuscript goes through several committees of the house as the house determines whether, on balance, this is a good manuscript to acquire. The acquiring editor acts as the manuscript's cheerleader, shepherding it through the process. If the manuscript is accepted, the agent negotiates with the publishing house to get an advantageous deal for the writer. This includes things like advance, ability to have a say in cover design, number of influencer copies of books, possible tours and other resources for marketing, and whatever else might be important. A release date is selected, usually about a year to 18 months from the time the manuscript is accepted. The writer is paid an advance against royalties: this is money that the publishing company thinks the book will make. The writer does not have to pay this money back even if the book doesn't make the expected profit. The manuscript goes through several edits, a cover is designed, back cover copy written, any facts checked out, and on and on to make the book as perfect as possible. The publicity department may also be called in to determine a good strategy for selling this title. Next, the book needs endorsements. The house prints Advance Reader Copies (ARCs), which are books without final corrections and so forth, so they may contain slight errors. The acquiring editor, the agent, the writer, and the house figure out who might be good people or review places to approach, and do so. Finally, the release date arrives. Yippee! The book is now available for sale, in brick and mortar stores and through online places such as amazon. The author does the publicity thing (book tours, interviews, book signings, etc. ), and hopefully a million copies are sold. The author is paid a percent of the book price for each book sold. Before the author sees any money though, first he must earn enough in sales to cover the advance money: this is called *paying off the advance. * This often doesn't happen, and indicates that this was a losing book for the publishing house to acquire. The sales figures are evaluated carefully especially when the writer is ready to publish his next manuscript. The sales figures take awhile to come in because of a policy called *returns. * Basically, bookstores can return the books to the publishing house for a full refund. This is a vestigial practice from an older form of business, but unfortunately still goes on, and can really gum up things for the publishing house since there's a long tail before the money is securely theirs. A good sales number for a first book might be around 5000 copies sold. Many/most books probably don't sell this well. There are two main methods for printing books: print on demand, and offset printing. Print on demand produces books one at a time; you can think of it as a glorified copy machine. POD tends to be a bit more expensive per book, but also more efficient. You don't need storage facilities with POD to store thousands of books. Traditional houses mostly use offset printing, although there is some movement for using POD technology in certain circumstances, say for backlisted books. Offset printing prints books in bulk; a minimum of 500 books is usually necessary to make this a cost-effective move, but runs of several thousand for publishing houses are more common. The main advantage of offset printing is that books are cheaper per unit. Congratulations! You've finished your book and want to have it published. Now what? someone who anticipates selling their family memoir or cookbook to a relatively small group of people? someone who wishes to sell books commercially on the internet? someone who wants to be a blockbuster author with a 20-city tour, an appearance on Oprah, and a movie deal? Well, we all can dream, can't we? OK, if you're in the first group, you're almost certainly going to be taking the initiative to publish your baby, because a traditional press such as Random House won't be interested. Unless you are a desktop publisher (not an unreasonable solution), your best option is probably to go to a vanity/subsidy press that will walk you through the publishing maze, give you a certain number of books, and maybe even get your book available on the internet so your friends can purchase it easily. 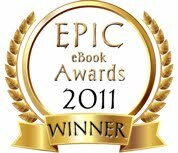 Lulu.com -- if you're handy with the computer, you can set up your book for no cost; charges are taken from the sales price only when and if you sell a book. You keep ownership of your own files. This is a great deal! The books you produce will be somewhat higher in price than the typical market prices, but this won't matter because you're only selling to specified people anyway. A comprehensive company -- I have no personal experience with these, so while I'd like to recommend some I don't feel I can. These companies will help you with a variety of tasks that may include: some editing, typesetting, cover design, ISBN purchase, online availability, etc. I would simply advise that you check out several before you sign with one. Mark Levine HERE has compared a number of companies and ranked them; I highly recommend you read this book to get a feel for what these companies can and cannot do, and what you need to look out for. Let's look at some advantages and disadvantages today. Traditional publishing is a difficult field to break into, but if you can make it, it offers significant advantages over other types of publishing. Some positives I can think of are that your manuscript will have been edited multiple times, and therefore your published book will be something to be very proud of. You will have a beautiful cover, and the backing of a company that will help to launch your book. Furthermore, your book will automatically be considered *worthwhile* because you have a name behind you. Your book will be available in brick and mortar stores, and you may even be able to wrangle a book tour or other publicity opportunities out of your publisher. You will have been paid advance money, and will not have to pay for anything else for the book. The biggest drawback to traditional publishing that I can think of is that you no longer own your book. If the publisher wants to change text, or discontinue the run, or do anything else, you can't prevent them. I've heard a few horror stories: one friend was upset because she'd been told her editor was changing the ending of her book about 24 hours before it went to press. "I don't want my name on it," she said. Fortunately this snafu was resolved to everyone's satisfaction before the book was printed. The nephew of another friend sold a manuscript to a publisher that then decided not to publish it. He had planned a series but was unable to do so without the first book, and couldn't get the rights back. I have two friends who wrote a wonderful Christmas book. They sold out their first printing quickly and were on a roll with appearances when the publisher informed them another printing would not be done. These are perhaps not typical stories, but they do happen. Vanity/Subsidy publishing varies quite a bit in quality and cost. Some advantages are that final books can be produced within a matter of weeks, and they usually look pretty decent (although covers often leave much to be desired). Often the book is available for sale on amazon and/or other online venues. However, if I wanted to sell books beyond a small group I personally would not consider this type of publishing. There is a stigma, the books are expensive, the author usually pays more than he should to get the book produced, the author often gives up some rights to the book that he may want later, and on and on. Publishing this way will not allow you to be commercially competitive. A special subset under this group is Publish America. I've already written a blog entry about this company HERE. PA tries to look like a traditional publisher because they pay $1 advance and don't charge the author anything, but the company also buys ALL rights to the book for seven years. There are so many complaints about PA that I would personally never consider going here. You've been warned. Your final option is self-publishing, where you form your own company. The major advantage of self-publishing is that you have complete control to produce an excellent product and keep all rights to it. The downside is that you've got to coordinate everything yourself, and believe me there are a lot of details. It can be expensive; although it doesn't have to be, you WILL spend at least some money. Furthermore, you are dependent solely on your platform and marketing contacts in order to get the book sold, because there is no one else. I'll be looking at how to go about traditional publishing tomorrow. Today I want to talk about the vanity/subsidy publisher versus the self-publisher in regards to the registration of the book. When you are thinking of publishing your own book, there are several options. Many people read the advertisements in a writing magazine, and without researching options simply go to one of these: a company that they pay in order to publish their book. Quality of services ranges from excellent to steal-you-blind; Mark Levine has written a helpful book comparing 45 companies HERE, but there are so many that he only scratches the surface. Strictly speaking, publishing with one of these companies is NOT self-publishing: it is vanity/subsidy publishing. You are a self-publisher only if YOU are the publisher. The publisher becomes important when considering the ISBN. The ISBN, also known as the International Standard Book Number, is like a book's social security number: it is a unique identifier that is forever linked to your book. The ISBN is necessary to engage in generalized commerce in bookstores, online, and other venues -- in other words, you can sell a book by hand without an ISBN, say cookbooks at a community function, but that's it. Pick up any book on your shelf. On the back cover you should see a white box with two bar codes, and also several strings of numbers. The larger barcode on the left encodes the book's ISBN, a 13-digit number beginning with *978* if it's published in the USA. Since the system recently switched to 13 digits, each book also has a 10-digit ISBN although it may not be printed on the book. The smaller barcode on the right encodes the book's price in a five digit number. The number is *90000* indicates no price specified. Who can assign ISBNs to a publisher? There are over 160 ISBN Agencies worldwide, and each ISBN Agency is appointed as the exclusive agent responsible for assigning ISBNs to publishers residing in their country or geographic territory. The United States ISBN Agency is the only source authorized to assign ISBNs to publishers supplying an address in the United States, U.S. Virgin Islands, Guam and Puerto Rico and its database establishes the publisher of record associated with each prefix. Once an ISBN publisher prefix and associated block of numbers has been assigned to a publisher by the ISBN Agency, the publisher can assign ISBNs to publications it holds publishing rights to. However, after the ISBN Agency assigns ISBNs to a publisher, that publisher cannot resell, re-assign, transfer, or split its list of ISBNs among other publishers. These guidelines have long been established to ensure the veracity, accuracy and continued utility of the international ISBN standard. As defined by the ISO Standard, the ISBN publisher prefix (or "root" of the ISBN) identifies a single publisher. If a second publisher subsequently obtains an ISBN from the assigned publisher's block of ISBNs, there will be no change in the publisher of record for any ISBN in the block as originally assigned. Therefore, searches of industry databases for that re-assigned ISBN will identify the original owner of that assigned prefix as the publisher rather than the second publisher. Discovering this consequence too late can lead to extensive costs in applying for a new prefix, re-assigning a new ISBN, and potentially leading to the application of stickers to books already printed and in circulation. For me, this ownership of the ISBN was the deal-breaker that made me decide to form my own publishing company. Did you catch what this statement above says? Basically, the company that publishes your book, forever will be the official publisher on record. YOU CANNOT TRANSFER THE ISBN, and YOU CANNOT BUY THE ISBN FROM THE COMPANY, no matter what they say. The book is linked to THEM, not to you. If you want to break your contract with the publisher for whatever reasons to go to a different company, the book will still be registered to the first company. To unlink the book you'll need to get a brand new ISBN and start from scratch: your marketing efforts done earlier will be for naught. Another common problem with vanity/subsidy publishing is that usually the author doesn't own the cover, the typesetting, the illustrations -- none of the physical files. If you want to leave this company for whatever reasons, you will walk away with nothing. The book will need to be re-typeset and a new book cover designed, as well as obtaining a new ISBN. Ron Pramschufer, a self-publisher, writes an article about this HERE. Deciding to go outside of a traditional publisher is a serious decision that must be carefully evaluated. You need to realize from the start that the odds are severely against you, especially for marketing fiction. These two landmines I discuss today are a few among many as you start to look into producing your own book. A fun site I like to visit is http://www.freerice.com This site has a quiz to test/improve your vocabulary, and each correct answer yields 10 grains of rice (donated by various sponsors) to the UN World Food Program. There are about 48 grains of rice in a gram, and about 400 grams of rice donated to a hungry person per day. The good part of this site is that there's room for improvement in vocabulary. I tend to level at a certain point out of 60, and find it difficult to get much beyond that. Do you find that your level pretty much stays constant, or over time have you been able to raise it? OK, just my thought for the day. Dihydrogen monoxide is colorless, odorless, tasteless, and kills uncounted thousands of people every year. Most of these deaths are caused by accidental inhalation of DHMO, but the dangers of dihydrogen monoxide do not end there. Prolonged exposure to its solid form causes severe tissue damage. Symptoms of DHMO ingestions can include excessive sweating and urination, and possibly a bloated feeling, nausea, vomiting and body electrolyte imbalance. For those who have become dependent, DHMO withdrawal means certain death. * contributes to the "greenhouse effect"
Quantities of dihydrogen monoxide have been found in every stream, lake, and reservoir in America today. But the pollution is global, and the contaminant has even been found in Antarctic ice. DHMO has caused millions of dollars of property damage in the midwest, and recently California. Two hydrogens, one oxygen. Chemical formula: H2O, more commonly known as water. See? You were scared for nothing! Once upon a time, something happened to someone, and he decided that he would pursue a goal. So he devised a plan of action, and even though there were forces trying to stop him, he moved forward because there was a lot at stake. And just as things seemed as bad as they could get, he learned an important lesson, and when offered the prize he had sought so strenuously, he had to decide whether or not to take it, and in making that decision he satisfied a need that had been created by something in his past. There's a lot that can be discussed in that paragraph, but today I want to focus on the hidden need. Stories in general showcase a weakness or need in the protagonist. When the protagonist (usually) solves the hidden need, he is then able to achieve (or not) the story goal which is the external thing or outcome that he is pursuing. These two branches are cleverly called the Inner Story and the Outer Story. Dominance of one or the other of these branches changes with genre: for example literary stories tend to be inner or psychologically driven; aggressive action stories are externally driven; but the best stories balance these two elements. The protagonist's hidden need comes from a weakness within the protagonist: for example he can't trust, or he spends too much money, or he can't forgive. The best hidden needs further reach out so that the protagonist hurts other people: for example, because he can't trust he is causing his girlfriend to break up and marry her old boyfriend; because he spends too much money, his mom who cosigned a loan for him will be kicked out of her house; because he can't forgive his friend, the friend becomes cynical and starts behaving badly. The story goal is the external thing or outcome that the protagonist is pursuing. It can often, although not always, stem from the hidden need. For example, because the guy's girlfriend is leaving him, he's got to get her back; because his mom is losing her house he must find a way to pay her back and/or a new place for her to live; because he can't forgive his friend, he misses an opportunity for his friend to help him with a business he is forming. All of these might be worked into a main story goal, but at least could easily be important sub-parts of the main story. For example, in the movie U571 (a classically structured, very exciting, World War II era submarine story), second-in-command Tyler's hidden need is that he is unable to take complete authority, since he values the people under him as individuals when he needs to lead. At the midpoint Tyler's captain is killed and Tyler takes command. Hidden need is demonstrated: Tyler and his crew are in a dire situation, and he admits to them that he doesn't know how they're going to make it. Hidden need is solved: the chief petty officer takes Tyler aside and tells him to never, ever, tell his crew again that he doesn't know. He must inspire complete confidence. He must lead. A small problem is addressed: On deck, a Nazi plane flies over them. Tyler tells his crew to wave. One of his sailors tells the gunner to shoot. The gunner doesn't shoot, the plane flies past, and Tyler punches the sailor. "This isn't a democracy!" he growls. You get the idea. The second part of act two is the most difficult part of the story to write, but this is a helpful device to use to take up at least some of that white space. There is also often a second hidden need that is solved towards the end of the story, right before the climax. For example, in the film Iron Will (also a highly recommended film! ), Will is in a dog race to win money that will pay off his mom's home and his college tuition (valuable stakes). His main hidden need -- fear of a bully/confidence -- has already been solved in act two part two, but he has a second fear, to take his sled across a frozen river. Throughout the movie he has avoided rivers, sometimes with disastrous consequences. However, he can only win this contest if he crosses the ice. So, will he? (Something Jessica said a few days ago reminded me of this verse). [Christians] suffered mocking and flogging, and even chains and imprisonment. They were stoned, they were sawn in two, they were killed with the sword. They went about in skins of sheep and goats, destitute, afflicted, mistreated— of whom the world was not worthy—wandering about in deserts and mountains, and in dens and caves of the earth. (Hebrews 11:36-38, ESV). We know the ultimate ending. Have faith. Ask God to supply your needs, hang in there, and trust Him. I have no pride as I show you these clips – you can see how bad some of the draft passages were! I hope seeing how I made changes is helpful. She felt time and place suddenly tunnel down as she contemplated her approach, every motion and reaction in crystal clear clarity, movement so slow she could easily track it. Clear in her mind now. Go. She felt time and place contract as she contemplated her approach: every motion and reaction in crystal-clear clarity—movement so slow she could easily track it. She scrambled over a knee high pipe, with a clear route now to the wrench, and her boot made contact with it a fraction of a second earlier than the janitor’s hand and knocked it out of the way to the side. The man pulled her down immediately but she managed to fall on the weapon. The man was lying across her upper legs, preventing her from turning over. She leaped over a knee-high pipe, a clear route to the wrench. Her boot made contact with it a fraction of a second earlier than the man’s hand; she kicked it out of his reach. The man knocked her down over the wrench and threw himself across her upper legs, preventing her from turning over. She whipped sideways, trying to gain access, still trapped. Sara whipped suddenly sideways, still trapped but as she struggled she felt her mind suddenly calm, and she saw exactly how it would be. An enormous pulse of energy passed through her. In a clear motion she brought the wrench up, the man blocked her forearm but she let go. Her trajectory had been true. The wrench sailed the short distance, and one end of it hit the man, hard, along the side of his head. He was clearly weakened even as he put his hand out to feel for the wrench. She reached over and picked it up, hit him again. An enormous pulse of energy passed through her. In a single clear motion, she brought the wrench up, and as the man blocked her forearm, she swung it at his head. The wrench smashed against his temple, and he dropped. The man’s coat flew open. Although Sara didn’t see it, a cigar like detonator flew off the weapons belt beneath, fell through the metal grid floor, and wedged itself deep beneath the conduit that ran heat away from one of the shaping superconductors. It wouldn’t cause problems until later. As his coat flew open, she saw something small—-a button?—-clatter through the grill. No, not a button. She tried to follow its path through the shadows, but it fell deep near one of the superconductors, irretrievable. NOTE: draft went out of Sara's POV to omniscient. She pulled out from under the man and pushed him over. The man was still breathing, but his eyelids were twitching as if he weren’t deep. “Benjamin!” she called again. Her voice seemed to be swallowed up in the machine, but he responded this time. She slid out from beneath the man and pushed him over. The man took in a deep breath. His eyelids twitched. “Benjamin!” she called again. Her voice was swallowed up by the machine. She saw he’d rolled to the side and was tangled within a maze of pipes near one of the storage tanks. “Here,” he said. Benjamin was sitting rigidly still, his hands over his eyes. She felt a thrill of panic as she moved quickly towards him. He seemed badly hurt. “What about that man?” he asked. She gripped the wrench tightly over the man as she made the call on her cell phone. He moaned. He had rolled to the side and caged himself behind a maze of pipes near one of the storage tanks. “I’m here,” he said. Benjamin was rigid, his hands covering his eyes. Sara gripped the wrench tightly in one hand as she made the call. “Who is he?” she hissed. His jacket had fallen back, revealing a weapons belt from which several small packages had been slung. Around the front of the belt was wound a thin silvered square maybe an inch across, with several very thin wires trailing, ready to be connected to one of the main power supplies. Sara recognized its conformation instantly. The man had been ready to plant explosives. Who was he? His jacket had fallen back, revealing a weapons belt from which hung several small packages. Sara saw wires trailing, and recognized the conformation instantly—explosives. What had fallen from the man’s jacket? “Let me look.” Gently she brushed his hand away from his eyes that were copiously tearing. He tried to open them, but immediately covered them with his hand again, and then he turned away. It took Security less than two minutes to arrive, a team of four MPs. They quickly secured the scene. Sara stood up. “We’ve got to get you to the doctor now,” she said, and she hoped her voice didn’t sound too panicked. She felt very weak and faraway as she slipped her arm around his waist and began pulling him through the room. And carefully, with his arm like a vise gripping her shoulder, she turned him towards the door. “Let me look.” She crawled beneath the pipes to get to him, and then brushed away his hands. His eyes were tearing copiously, and he immediately covered them with his hands again. “Come with me.” She hoped that her voice didn’t sound too panicked. It took security less than one minute to arrive: a team of four MPs. The role of our politicians in the stimulus package made me think, in a corkscrew kind of way, of this verse. As always, I will avoid taking this blog in a political direction, but do want to discuss some personal apolitical observations. My impression is that this enormous 600+ page bill was rammed through quickly, before any of our representatives had time to read it, much less understand what it said. When we're talking about 800 billion dollars, give or take a few million (! ), this seems to be a foolish thing to do -- after all, as a country we'll be paying for this for years, perhaps generations. Would anyone here buy a house, or car, or other big purchase, without at least figuring out what it is? Hmm. I'm sure there is enormous peer pressure on the Hill to vote positively for something like this -- there has been much rhetoric about how this stimulus package is "needed quickly" and "we can't wait." Perhaps. Still, as an American citizen, with this quick acceptance I feel let down and yes, betrayed. I want to know what we're actually going to be spending the money on, and if the purchases will truly be helpful. Isn't this common sense? No matter that I called, though, my voice made not a whit of difference. But here I go into the realm of the political, and really I wanted to make a slightly different point in this blog today. It is this: like those representatives, the above verse from Hebrews seems to suggest that WE are being observed, and our actions are being weighed to see if we succumb to peer pressure or stand up and do the right thing. Those observing us I imagine are cheering for decisions that honor the Lord, although I don't hear their voices. Which way will I vote? Will my own actions be right? As anyone knows who has learned a foreign language, there are certain idioms and ideas that cannot be exactly translated. The words we use are important to capture the ideas we think. Not surprisingly, words reflecting Britain’s Christian heritage were especially hard hit: “abbey, altar, bishop, chapel, christen, disciple, monk, nun, pew, saint,” and “sin” were all axed. Even Christmas took a hit: “carol,” “holly,” and “mistletoe” were removed. In other words, we judge our religion by our ideology—in this case, multiculturalism—not vice-versa. It's a little scary. Just yesterday my daughter was telling me about a classroom debate where *Christians* were seen as the enemy, ready to convert people by force and/or spouting wild-eyed anti-scientific, anti-tolerant, condemning pronouncements. This from kids who are largely from church-going, or at least birth-Christian, households. Now, we are losing even the vocabulary to describe the religious underpinnings that have built Western civilization. How has the culture moved so far from the true Christianity that preaches forgiveness, tolerance, grace, and above all, Love? Where did we lose our understanding of God as Holy, Just, but also sacrificial and not willing that any should perish? Why do we think that belief in God means a desertion of one's intellect? There is a story of a woman walking along the ocean's shoreline the day after a terrific storm. She keeps leaning over to toss one starfish after another back into the water. Her companion says, "Why do you bother? There's no way that you can save all of these creatures." Tossing another starfish back, the woman says, "Well, it made all the difference for that one." Another toss. "And that one." We also must toss starfish back, one at a time, within our small domains of influence. We can't stem the tide, but for the individual, it might make the difference. My Wild Card Blog Tour is Today! Here are the blogs that are scheduled to post my book. I'm keeping my fingers crossed. My Wild Card Blog Tour! My blog tour will be taking place tomorrow, Thursday Feb 12th. I wanted to give a test run on this blog today. Tomorrow, I'll post all the sites. 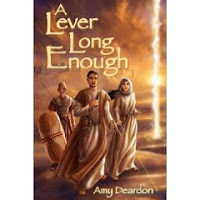 Amy Deardon is a skeptic who came to faith through study of the historic circumstances surrounding the death of Jesus. This is her first book. The ancient Qumran Mountains were hard and dusty, fists of rock pushing upwards to strike the face of the sky. As the helicopter trailing the two paragliders banked to the left, Benjamin watched the lead figure closely. Sara soared between two peaks, smooth, so smooth, as she dodged a cliff and spun another turn in her ascent. Benjamin shook his head. “She flies that thing like it was a part of her.” He saw his pilot, Caleb Mendel, glance over at him. “They’re looking good,” Mendel said. The earphone in Benjamin’s helmet crackled, the voice tinny and mechanical from the transmitter. The two paragliders dangled about twenty feet below the arched cloth wings, the fanned lines passing in a spread to their hands, but Sara flew far ahead—silhouetted against the next cliff now, too close to it. Even as he watched, she executed another sharp turn and dove down, circling out of it and up again as the giant fan strapped to her back pushed the wing’s edge forward. Benjamin let out his breath. “She’s all right,” Benjamin replied. There were three and a half days until FlashBack. The pilot touched the controls, and Benjamin felt the slight dip as the helicopter rolled to the right on a longer trajectory to keep from staying ahead of the gliders. Thumpa thumpa thumpa…he felt the vibration as the rotors of the helicopter shook the pod. They were going around the turn now and the waters of the Dead Sea spread out before them, glinting red in the late sun. Several small boats floated near a trawler—Benjamin knew they were searching for the weak signal of a nuclear battery. He was thinking of FlashBack, and the time machine. He shifted in his seat. The men on the boats were searching for the data capsule that he wouldn’t deposit in the Dead Sea for another week, yet it may have been there since before the Roman conquest of Jerusalem. It was unclear how the time strands worked. “If it’s there, it could have corroded through,” the pilot said. Benjamin shook his head. “Unlikely.” The titanium capsule was sixteen inches in diameter with extraordinarily tight seals. More probable that it was masked from detection by a two-thousand-year-old coating of deposited salt. He turned his attention back to the soldiers riding on the air currents. How different would it be when they went back? “Let’s finish up,” he said. The sky was bruising dark as the sun fell, and the gliders still had a good ten minutes to go before they landed. Rebecca Sharett, behind Sara, was having trouble keeping to a smooth course. Benjamin knew that she wasn’t confident in the air, but really, it wasn’t critical, since they would use the paraglider only as a desperate measure to deliver the information capsule so that it could be carbon-dated. It was treacherous, that was for sure. The helicopter turned course, following the gliders through the hard range. There were long shadows over the terrain. “One more line of mountains,” Mendel said. From the top of his helmet, the pilot pulled down infrared goggles against the growing dark. Full sunset now, deep shadows merged to black on the ground. Benjamin reached for his own set. To the west the city lights of Jerusalem scattered the infrared image to a green shadow on the periphery of his vision. As they topped the last ring of mountains, he watched Sara glide several hundred feet farther, turn off the fan’s engine on her back, and begin her landing cone of intention. He shook his head. Despite the darkness, Sara barely slowed. She was going to get herself killed. The new Israeli military complex loomed ahead: multiple buildings guarded by a wickedly sharp perimeter fence and towers. It had been locked down for the past week in preparation for FlashBack. He watched the pilot flip on the microphone to receive clearance for landing in the restricted airspace. Benjamin glanced at the lights of the complex, then back at his soldiers. Sara touched down, the cloth wing collapsing behind her like a giant blanket. The two men on the transport vehicle ran forward and began pulling out the wing before she’d even unclipped the harness. Rebecca began to circle. The helicopter whipped through one last circuit as Mendel began their own landing sequence. Then the pilot made a sudden move. The pilot stared hard at the residential building through his infrared goggles, as if trying to see the afterimage of something fleeting. Benjamin hadn’t seen anything himself. “I’m not sure,” Mendel said slowly. I found my old manuscript! Since there was some interest in how I shaved Lever, for what it’s worth let me compare a few paragraphs from a random passage in the story. I’ll face it off paragraph by paragraph, and then give a brief explanation. The old passage was 347 words, the final is 286. This gives a percent cut of 18%. Seidel had been planting only the first of the four bombs then. Gideon had given him a very detailed outline of procedure once he was in the time machine. Benjamin must have come in before Seidel had been in the target area five minutes, and Gideon clenched his fists angrily. Seidel had been planting only the first of the four bombs then. Benjamin must have entered before Seidel had been in the target area five minutes. He followed Benjamin’s glance to his hands and forced himself to relax. Don’t give yourself away. Gideon clenched his fists, then followed Benjamin’s glance to his hands and forced himself to relax. Don’t give yourself away. NOTE: I moved clenched fists to the next paragraph to tighten the reference. I also italicized the thought. He suddenly had no energy for this, now that he’d learned what he needed. He stood up, signaling the end of the conference. Now that he’d learned what he needed, he had no more energy for this. He stood up, signaling the end of the conference. Gideon started. “The trigger,” he said. I removed speaker attributions, plus cut some wordiness. “Like the one in the car bomb—” Benjamin grimaced as he covered his eyes with his hand again. He held himself immobile. NOTE: The old passage was wordy. The multiple exchanges were distracting. Benjamin suddenly grimaced as he covered his eyes with his hand again. He held immobile for a few moments before he relaxed. Benjamin lowered his hand, shook his head. “I’m sorry, sir. My eyes have some stabbing pain still, but the doctor says that will stop in a few hours." NOTE: old paragraph didn’t convey a strong sense of urgency, and frankly wasn’t realistic. In the new passage Gideon takes control. Gideon waved him on. “Go. Go." After he had left Gideon sank into the chair behind his desk. He pulled out the top drawer to his cigarettes. His hands were shaking as he lit the match, and then he breathed in the burning smoke. After he had left, Gideon sank into the chair behind his desk. He pulled out the top drawer to his cigarettes. NOTE: Gideon again is slightly more aggressive in the second passage. If you're interested in becoming the author of a respectable book, be very careful to evaluate all of the evidence before signing with Publish America. Personally, after learning what I know now, I would never consider it. If you haven't heard of this company in your research for publishers yet, you will. PA sounds like a good deal: they sign a high proportion of first-time authors to edit and publish books, all without a penny charged to the author. They insist that they are a *traditional* type publisher, albeit with more openness to new authors. There ARE happy authors here, as demonstrated by repeat customers. However, before you sign, do some google searches on this company. There are many websites warning authors away. I found newspaper articles written from The Washington Post and The Pittsburgh Post-Gazette about this company, but these are only the tip of the iceberg. I do not have personal experience with PA, although I did experience a near miss: PA had accepted my ms for publication and sent me a contract. Gosh, I was so excited! About two hours later (honest! ), I received a telephone call from my ill-fated agent though, and of course signed with him instead of PA. I don't know anyone personally who has published with them, so therefore want to keep my comments muted and neutral. Anyone can say anything on the web. However, just the fact that SO MANY people post vehement negative comments about this company should give anyone pause who is considering PA.
1. Minimal or Absent Editing; introduction of additional errors into the manuscript; poor formatting. 2. Limited or no discrimination for acceptable manuscripts. Basically statements say that PA will accept virtually anything, as long as the author promises to *actively promote* the book. There have been several well-publicized tests of PA's acceptance policies, including a truly horribly-written story HERE. 3. Price of the book is higher than the industry standard; for example, a slim 150 page paperback might retail for $18.95. I verified high prices on the PA's bookstore. 4. A low rate of sales, based on their own numbers. PA claims to have published about 30,000 titles and sold about 2,000,000 units. This divides to about 67 units per title rate --> 67 books sold of each title. 5. No library cataloguing information (Library of Congress control number and Cataloguing in Publication data). Right there you've lost a big potential market for your book. Many libraries are not even allowed to order books without this information because its absence suggests a vanity press, and/or a book that was not professionally edited or typeset. 6. Numerous royalty complaints: basically, authors state they've sold X number of books, but these numbers aren't reflected in the PA payments or accounting invoices. One disgruntled author's account (with some mildly colorful verbiage; you've been warned) is HERE. 7. It's apparently really difficult to get out of a PA contract, and gag orders are enforced. Furthermore, the contract has an unusually long term to own all rights: seven years or more. This is from Travis, who has an intriguing story posted right now. Have a great weekend! W hy does Superman stop bullets with his chest, but ducks when you throw a revolver at him? US Airways Flight 1549 was a commercial passenger flight that ditched in the Hudson (North) River on January 15, 2009 with all 155 on board surviving. About a minute after its 3:26 pm takeoff from New York City's LaGuardia Airport (LGA) for Charlotte, North Carolina, the Airbus 320 struck a flock of large birds while on climb out resulting in the immediate loss of all thrust from both engines. When the pilots concluded that the aircraft would be unable to reach any airfield, the then-unpowered airliner turned southbound near the George Washington Bridge and at 3:31 pm made a successful intact ditching in the river not far from the Intrepid Sea-Air-Space Museum (North River Pier 86) in midtown Manhattan. All 150 passengers and 5 aircrew safely evacuated the cabin and were rescued from the partially submerged plane by the crews of nearby commercial and rescue watercraft. The entire crew of Flight 1549 were later awarded the Master's Medal of the Guild of Air Pilots and Air Navigators. According to the citation for that award, "This emergency ditching and evacuation, with the loss of no lives, is a heroic and unique aviation achievement." This is from a Partner at Heidrick & Struggles, an executive recruiting firm, who was on Flight 1549. Just prior to boarding I finished up a conference call with my associate, Jenn Sparks (New York), and our placement, the CIO of Uni ted Airlines. When I told him that I was about to board a US Airways flight, we all had a little fun with it. I had started to point out items of interest to the gentleman next tome when we heard a terrible crash - a sound no one ever wants to hear while flying - and then the engines wound down to a screeching halt.10 seconds later, there was a strong smell of jet fuel. I knew we would be landing and thought the pilot would take us down no doubt to Newark Airport. As we began to turn south I noticed the pilot lining up on the river still - I thought - en route for Newark. As we came in for the landing, I looked out the windows and remember seeing the buildings in New Jersey, the cliffs in Weehawken, and then the piers. The water was dark green and sure to be freezing cold. The stewardesses were yelling in unison "Brace! Brace! Brace!" The first ferry boat pulled its bow up to the tip of the wing, and the first mate lowered the Jacobs ladder down to us. We got a couple people up the ladder to safety,=2 0but the current was strong pushing the stern of the boat into the inflatable slide and we were afraid it would puncture it...there must have been 25 passengers in it by now. Only two or three were able to board the first ferry before it moved away. As more ferries arrived, we were able to get people up on the boats a few at a time. The fellow in front of me fell off the ladder and into the water. When we got him back on the ladder he could not move his legs to climb. I couldn't help him from my position so I climbed up the ladder to the ferry deck where the first mate and I hoisted the Jacobs ladder with him on it...when he got close enough we grabbed histrouser belt and hauled him on deck. We were all safely off the wing. I have a few odds and ends to mention before I forget, and then I'd like to talk about goals. 2. I've heard writers say that they worry about someone stealing their ideas. My reaction to this: be prudent, but don't worry. Believe me, it's hard enough to develop an idea, or get the manuscript published, for someone to be tempted to lift it. 3. Speaking of the idea belonging to you, you should know that the moment you put an idea in a fixed form, ie you write it down, it is legally copyrighted to you. You can type a notice on it if you want. An easy way to prove that you are the developer as of this date is to mail the manuscript to yourself, and don't open the envelope. Voila -- legal documentation. OK, goals. I've gotten the sense at a few conferences that I've attended that many non-published writers look at holding a book with their words inside as the ultimate goal. This is certainly an exciting moment -- I was fortunate to experience this myself last summer -- but it is simply the start of a new journey. 1. a personal group. This could be family and friends, a community project, or some other limited readership that you would feel good if you could hand them a book. For instance, I have a friend whose great-grandparents died at the hands of the Nazis soon after Krystallnacht in Germany. She painstakingly researched their last days, and wrote a beautiful book that she published with First Books, a well-known self-publisher. She sold probably 100 copies, and was completely satisfied because she had given the various branches of her family a valuable record of their shared roots. For this group, self publishing is the best, perhaps the only, option. You can develop a beautiful book at a relatively modest price, or even free, by using one of a number of book packagers. 2. a commercial group. If you want to sell A LOT of books commercially, to strangers who don't necessarily know who you are, because they hear that *this is a good book,* then you have more options that you'll need to carefully consider. If you are part of this second group, your options divide generally into traditional publishing, or self-publishing. Self-publishing can be further broken down into a quasi-traditional house, a book packager, or developing your own publishing company. There are definite pluses and minuses to each of these options. It is A HARD ROAD no matter which way you go, and you need to carefully consider the BEST choice for you. The bar for publishable, truly good, writing, is very very high. In my own experience critiquing many writers, I find very few writers who have yet hit this level. There are maybe two manuscripts out of fifty or so that I've read that I would consider publishing under my own imprint -- and these, believe me, I would edit the heck out of first. I found when I was ready to publish my book, that MY manuscript was not ready. Not by a long shot. I did an enormous amount of work on it, and hopefully have brought it up to this publishable level -- many people have told me how much they enjoyed my book, so I'm hopeful. I'm convinced that almost anyone can write a competent or better story. But... it takes a lot more work than you think. Just be ready, and don't jump until you've prepared the manuscript as well as you can. Thanks Jessica for a great suggestion! OK everyone, I looked for my old files of Lever. I switched computers 15 months ago and suspect the very oldest complete draft of this book may have been lost, but I'll keep searching. In the meantime, I found a file that had gone through only my first edit, after I transferred the critiques from my hired editor and Jane but had done nothing else. This older sample has 130 words; the final version has 122 words, but what a difference! This is the entire chapter 21, found on page 73 of the book. Warning: it contains a spoiler for the plot, so if you haven't yet read Lever, well, you've been warned. Benjamin threw off the seat restraints and knelt beside Sara, pulled her from the chair and laid her flat on the narrow floor, supine, cradling her in his arms. She sank boneless against him, and he held her tighter. She seemed barely conscious, so still, and he reached down and took her hand. His Sara. No, she would be all right. She had to be. Her lips were moving, and he could barely hear her as she whispered a name. He leaned further over her, his ear to her lips. The name, she said it again. He drew back in horror. She had called to Yeshua Ha’Maschiach. He hadn’t misheard her. His thoughts were paralyzed. A spy, a believer, Sara, had infiltrated the mission. BENJAMIN THREW off the seat restraints and knelt beside Sara. She was unconscious, and he pulled her from the chair and laid her flat on the narrow floor. She sank boneless against him. He held her tighter. She seemed barely conscious, so still. He reached down and took her hand. His Sara. Her lips were moving, and he could barely hear her as she whispered a name. He leaned further over her, his ear to her lips. The name, she said it again. And then he drew back in horror. She had called to Yeshua Ha’Maschiach. No. It couldn’t be. But he hadn’t misheard her. His thoughts were paralyzed. A spy, a follower of the Way, Sara, had infiltrated the mission. Subtle changes but a big difference, don't you think? BTW I just spotted two things in this section that I'd change if I could. Did you catch these? The second is an error: in the first paragraph Sara is UNconscious, and in the 4th paragraph she's BARELY conscious. This, despite multiple read-throughs on my part (and believe me, I'm picky), and a go-around with an excellent copyeditor. It just goes to show that your book is never going to be perfect. 1. A long manuscript, especially by a novice author, almost certainly means there is extra verbiage that detracts from the writing. 2. Publishing books gives a narrow margin of profit. Most books don't earn back their advance; this means that most books end up losing money for the publisher. A fat book means more production expense that must be reflected in a higher retail price. All things being equal, why should a publisher publish a thick book when it can just as easily sign a slimmer, trimmer manuscript? It is a buyer's marketplace out there, after all, and there is ALWAYS another manuscript. Once I had publisher's eyes for my book, I was amazed at how different the manuscript looked. I was the business now, not the hopeful writer. The first thing I did was farm out the manuscript to a few readers to gain opinions. Critiquing -- getting others to read through your manuscript -- can be so valuable, although you have to realize that there are different personalities and different types of critiques. Some are uplifting, if perhaps not too helpful, with the reader saying *I loved it! Don't change anything! * Others point out a problem area, although not necessarily with a correct solution. Some critiques can be cruel -- yes, I had two of these myself (one in a contest, one in an online critique group), and I was surprised that even though I have developed a thick skin, the comments temporarily pulled my courage out. As an aside, let me just say that if you critique, remember that there is a living person on the other end of your words who probably feels exposed as you plow through his or her work. I critique others myself, and no matter how awkward the writing is, I know that just to string this number of words together is a brave accomplishment. Remember that the person is always, always, more valuable than the thing. Don't let your ego get in the way of trying to help someone who may not be as skillful as (you THINK) you are. Jane, as I mentioned, gave me an expert critique. She pointed out places that I was meandering from the topic, or using awkward phraseologies like *she flung her leg over the chair. * (Picture THAT action in your head :-) She made progressively annoyed comments to some of my writing tics as they kept reappearing. She predicted obvious set-ups for plot with funny (and correct) remarks (OK, I'm guessing that by page 162 this character is going to be dead...) The pages were dense with slashing pen marks through paragraphs at a time. I loved it! 1. make sure the writing is always aimed for the READER and not yourself. Explain the vision that you see in your head as if you weren't already familiar with it. One method I found really helpful for this, for fiction, is to write in deep point of view of the character. Many people, I've found, use a lighter POV and flit above the action. Try to grasp more. Thinking about it, this is a good blog topic that I should cover in the near future, for whatever my opinion is worth. A copyeditor, BTW, is really important, and if you can afford one, do it. This is in contrast to a story editor, that IMHO is much harder to determine before the fact if he or she will help you. Money is tight. I was fortunate that my parents spotted me a generous gift for this endeavor, and we also had some money left over from the family budget. I spent money over a year and a half, so the bites weren't as big. Still, be prepared, not just in editing, but in the book set-up, that you're probably going to have to spend something. I'd love to hear some of your experiences with critiquing or editing! What do YOU think is important? 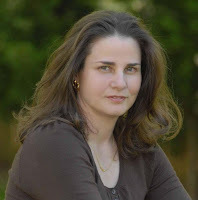 Lisa Tener is doing a blog series on marketing this week that you might want to check out. The link is HERE. Publishing 1: Is Your Writing Ready? My own story: I finished my manuscript and was excited to sign with my first choice agent. For a number of reasons things didn't work out, and then I wasn't able to write for awhile (not related to the agent-writer breakup). When I got back in the game, I learned that no agent wanted to touch my manuscript because many publishing houses had already considered it; I didn't even have a complete list of who had seen it. I had three choices: 1) rename the manuscript and try again -- since I'd just done the agent rounds for a second time, I was dubious; 2) write my complex second book for which I only had a half-finished first draft, and anticipated much work (especially since I hadn't yet solidified my story template studies); 3) go outside the traditional publishing venues to publish my manuscript. I really believed in Lever. I figured I'd rather go for it and fail, so decided to go with door #3, and write on the side. The jury is still out on whether this enterprise will be a success, but I have to say that I'm very pleased at least with how the book turned out. The first thing I saw when I put on my publisher hat was that I had to make really sure the manuscript was ready. It takes a lot of effort and at least some money to produce a book, and if the book is bad your effort is for naught. So, I took a good hard look. I hired an editor that in retrospect wasn't a good decision because I didn't feel she was helpful for what I needed; I also asked a few friends to critique the manuscript. My friend Jane gave me a fabulous critique, and really taught me how to edit myself. This blog is getting too long so I'll go over some editing hints tomorrow. Let me just say that my manuscript to start was good. It had been represented by an agent with an excellent reputation, and sparked interest in more than one publishing house. However, it was not yet publishable quality. Normally a traditional house will buy the manuscript and bring it up to snuff, but since I was it, I had to do this. Getting my manuscript ready was the most labor-intensive part of this whole process, and also the most important.